Anjuman Jamiat Ulema Asna Ashrya School Kargil on Friday welcomed the President of Islamic Republic of Iran Sheikh Hassan Roohani to Kargil district of Jammu and Kashmir. 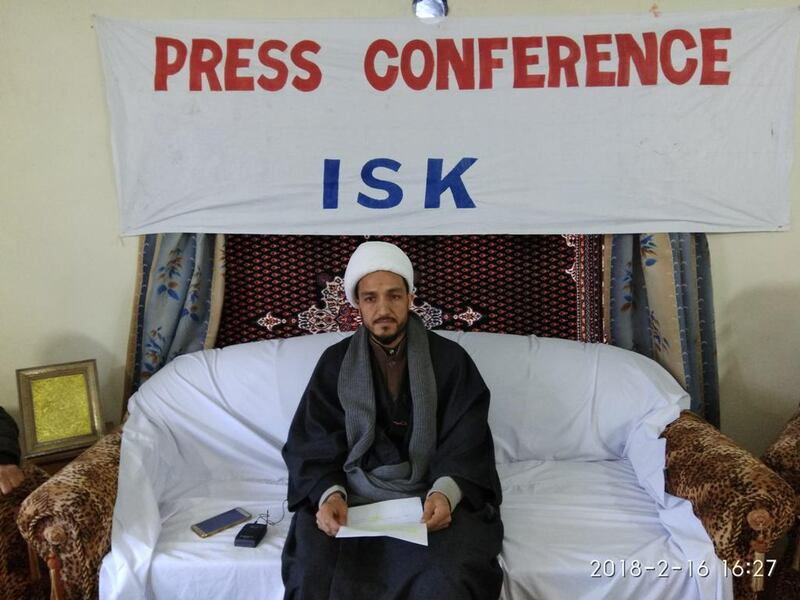 President of the influential religious organization of Ladakh- Islamia School Kargil, Sheikh Nazir Mehdi Mohammadi briefed a press gathering that Indo-Iran relation has a history of more than 5,000 years and this visit will further strengthen the bond. Sheikh Nazir Mehdi Mohammadi requested the Prime Minister of India to start a direct flight from Srinagar International Airport to Mashad Muqadas Iran on the pattern of direct Flights from Srinagar to Jiddah. Mohammadi said that every year Lakhs of people from J&K visit Iran during religious as well as educational tours. The tour helps people to create an unending bond with each other. Talking about Karakul Sheep Farm established in Kargil back in the 70s, Mohammadi said that the relationship will further strengthen if experts and technology from Iran can be used to explore more possibilities in this sector particularly in the Carpet Industry for which Karakul Wool is perfect.